Ok, this is not exactly an audiophile playback of Tchaikovsky’s Overture but for sure Vodafone NZ caught all eyeballs (and ears alike) with this TV ad. If you’re arguing how this has been done, check the video below: the cell-phone symphonia making-of (part 1 & 2)! Another winner from Pentax announced just before this summer: the Pentax K-7 , is now available with a substantial price saving - up to 44% off! The Pentax K-7 entered the Pentax range as a high-end model targeted at photo enthusiasts because its complexity made it most suitable for experienced SLR photographers. Featuring a solid metal body, weatherproof sealing and a wide range of user-adjustable controls, it also supported high-speed continuous shooting at up to 5.2 frames/second and HD video recording at 30 frames/second. The low-down: This 14.6-megapixel camera came fitted with the Pentax 18-55-millimetre lens. This is at the top of the company’s camera range. It has a magnesium-alloy body and is smaller than the K20D. It is weather-sealed and sports an excellent 920,000-dot LCD and 100 per cent viewfinder. It has an HD movie mode. Image stabilisation is by sensor shift. There are body-top and LCD information displays. All important controls are immediately accessible on the camera body, including a nifty white balance adjustment tool. This white balance tool itself is not unique to Pentax but the accessibility is. Among all the desirable features for serious photography is a killer innovation: true in-camera HDR (high dynamic range) processing. Like: The in-camera HDR processing works by taking three exposures at widely spaced exposure values and then merging them into a single jpeg. Of course, it can really only work with the camera tripod mounted but that is true of any HDR sequence. The results from the Pentax K-7 are splendid and, unlike some HDR output from Photomatix or Photoshop, completely realistic. The Pentax K-7 adds a new movie recording function, extending the benefits of SLR photography to the world of movie shooting: For instance, reduce the depth of field to make the subject stand out, or use different lenses to create distinctive visual effects. Beautiful movie clips can recorded at different sizes–640 x 416 pixels, 1536 x 1024 pixels, or 1280 x 720 pixels (16:9 high-definition TV proportions)–at a frame rate of 30 frames per second. The K-7 is also equipped with an HDMI terminal and an external microphone input terminal for high quality sound to match your videos. A Blu-ray Disc Player with Youtube and Netflix plus USB? LG BD 390 is the answer - now 25% off! is the only Blu-ray player that will allow you to get rid of your “old” DVD/DivX players, and send them to desired retirement. What’s more, this player will allow you to watch HD movies in compressed (among others MKV) format. Audio outputs on the rear of the LG BD 390 (in addition to HDMI) include coaxial and optical digital for increased compatibility with older A/V receivers without HDMI audio support. Analog audio aficionados may appreciate the BD390’s outputs for 7.1-channel surround sound, although 5.1 and 2.1 configurations can also be selected in the player’s audio setup menu. The LG BD 390 features YouTube and Netflix video streaming, and a recent firmware update for both players added the ability to browse and shop CinemaNow’s online movie catalog. The BD390 sports multichannel analog audio outputs, multimedia streaming capabilities, and integrated Wi-Fi too. Equipped with 1GB of internal flash storage, the BD390 doesn’t require any user-added memory to access the BD-Live streaming multimedia features that are increasingly being included in newer Blu-ray titles. I look forward to the day that this memory is standard on all players—not just on premium models. The BD390 is one of the fastest Blu-ray player ever tested. Over HDMI, the BD390 can output 1080p60, or 1080p resolution at 60 frames per second (fps) and 1080p24 video to a compatible TV. Control the Viper SmartStart remote car-starting system under your hood from the easy-to-use, touch-screen interface right on your iPhone. Receive push-button status notificationsIt uses a free iPhone app [iTunes link] to give you that remote love, like when you are visiting friends overseas and want to scare people by starting your car up while it’s sitting by itself in the airport parking lot. The developers also note that in the near future, a new release of the app will give you push notification if your car alarm goes off. There are two versions available: a module (SmartStart VSM100 Module, US$299.99) for cars that are already equipped with compatible Viper starting systems, and a fully loaded package (SmartStart VSM4000 System, US$499.99) for the rest of us. Check BestBuy SmartStart iPhone System page for more info! Rockstar first teased us by releasing its top-down GTA on the Nintendo DS. Then they redeemed themselves by bringing it to the PSP, even though it is almost a year late. But Rockstar is doing a lot to ensure that PSP owners don’t feel left out, and to offset claims that this release is simply a rushed port meant to cash in on the franchise. First of all, some of the basic content of the game has been improved. Grand Theft Auto: Chinatown Wars PSP features enhanced graphics, with more polygons, proper lighting effects and a minimap that can display on the same screen as the action. There are also six new instrumental radio stations, taking advantage of the additional storage available on the PSP format. Finally, more supplementary minigame content like Rampgaes have been added to the game outside of the main storyline. There will also be more story missions in the PSP version of Chinatown Wars. So far, Rockstar has revelaed details about one exclsuive mission called “Factory Fun”. This extended mission is very similar to one in San Andreas called “Are You Going to San Fierro?” Factory Fun invlolves infiltrating a warehouse drug operation and destroying the crops, all while protecting a documentary filmmaker who comes along just to make your life more complicated. This new character is named Melanie Mallard, an aspiring journalist and documentary filmmaker who becomes involved in the action while doing a story on the city’s Triad gang. Melanie has made a deal with Chan Jaoming to get a behind-the-scenes look at his business, hoping to get the scoop on a major story. Hard-headed and sassy, with shades of April O’Neil, Melanie is sure to be a constant annoyance to Huang. 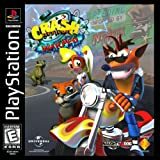 Crash Bandicoot: WARPED - a PSP Online classic! The Crash Bandicoot: WARPED series has once again returned to the system in which it began its lifespan. This series has always been one of my favorites ever since the original had come out and it had bestowed its head in the video game world. In time a sequel was made, but people constantly asked this question. Was is it any different then the previous one? Was it any different as to have full expectations of a great game right out of the get-go? Unfortunately, the answer was no. Both of these games were alike, and shared many of the things that one had just in a different way. But Naughty Dog (creators of this coveted series) thought of changing that with the sequel. You see, the first Crash suffered liabilities of ever being fun, and its replay value was really low. As for the second one, while it was fun it was however, too easy, too linear, and like the past one it had little to no replay value. So as for the third mark in the series one could’ve easily have easily told from the beginning that this game was going to be fun, challenging, enjoying, and with high replay value. So as one will eventually see the game follows in every mark mentioned, except for one, and that’s its challenge. But with great and zany puzzles Crash Bandicoot 3: Warped still feels and still acts like a winner. Crash Bandicoot: WARPED begins right were the other one left off. After his plan backfired yet again, Neo Cortex was losing power. Unfortunately, a pile of debris had hit a mountaintop and out came a villain hell-bent on world destruction. His name was Uka Uka. Uka Uka is a mask portrayal of a powerful demon and this powerful demon is the brother to the other ancient mask: Aku Aku. Aku Aku is a great friend of Crash Bandicoot and his sister Coco (in fact he’s that little mask who gave you a chance to continue after you got hit in the past games). Uka Uka then learns that Cortex has failed him too many times. He is mad that he never brought Crash Bandicoot down, and that he never had a chance to become ruler of the world. So upon knowing this Uka Uka makes his own plan. He gets a machine that will plan to “somehow” destroy the world. For this machine to be powered up it needs 25 crystals, of which have been stirred and strewn through time. Then Cortex and Uka Uka get a time machine and then they go off to get the crystals. Back at Crash’s house, Aku Aku tells them of the power of his evil brother, and then all three of them go to the time machine and all three hope to get all of the crystals. Crash Bandicoot: WARPED goes for a mere US $ 5.99. Nintendo Wii Officially Gets 199-Dollar Price Tag: what are you waiting for? Nintendo has dropped 50 dollars from the price tag of the Nintendo Wii gaming console! Nintendo is saying that, despite the reduced price, buyers will still get the same package, consisting of a gaming console, a Wiimote, the Nunchuk and the video game Wii Sports. To get the most out of their gaming rigs, players might want to pick up a second Wiimote, maybe one or two Motion-Plus add-ons, and even a Classic Controller. It seems a bit of a missed opportunity for Nintendo. The price cut is nice in itself, but the manufacturer could have also introduced the Motion Plus as part of the package, to make sure that all the players who picked the console up from then on could enjoy the better motion tracking, or it could have opted to replace Wii Sports with the newer and more interesting Wii Sports Resort. Still, the new price point of 199 dollars means that the Wii will get a boost in sales beginning with late September, probably holding its lead on the PlayStation 3 Slim and the Xbox 360 Elite, which both retail for 299 dollars. Get your Nintendo Wii (with Wii Sports) right now for US $ 199.99! What’s best for your Wii? Set off on a journey to a tropical island where an array of fun activities await. In Wii Sports Resort, the sequel to the engaging Wii Sports, you’ll discover a wide range of new sports and activities you can play anytime. Go head-to-head with your friends and family in the ultimate sports showdown set in a tropical paradise. 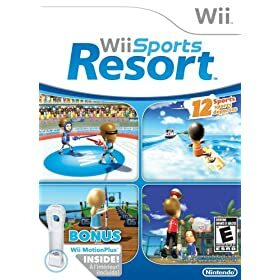 Wii Sports Resort retails for less than US $ 49.99! Bowers & Wilkins’ $400 Zeppelin Mini iPod sound system ships next month, up for pre-order now! Bowers & Wilkins has never been one to play the bargain game, and the $399.95 price tag on its new Zeppelin Mini is evidence of that very fact. Joining the award-winning B&W Zeppelin family is B&W Zeppelin Mini . It gives you everything you love about Zeppelin–incredible sound, intelligent design, elegant connectivity–in a smaller, compact package that’s perfect for desktops and bedside tables. Because even when your space is limited, it doesn’t mean your sound has to be. So, is a flashy design, a pair of 3-inch drivers, 3.5 millimeter auxiliary input jack, USB 2.0 port and a promise of a better tomorrow enough to pry those four Benjamins out of your hand? B&W Zeppelin Mini’s new features? USB Streaming! Music can be streamed direct from a PC or Mac via the USB socket. This means that any computer system can benefit from the improved sound quality and digital sound processing, offered by Zeppelin Mini’s Digital Sound Processing (DSP) and drive unit technology. 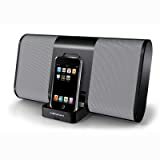 Pre-order here your Bowers & Wilkins Zeppelin Mini Docking Speaker for iPod ! Rabbids for Nintendo DS and DSi soon available: get ready for rabbit madness near you! Ubisoft announced a Nintendo DS and Nintendo DSi video game system installment for its upcoming comedy-adventure, Rabbids Go Home . The Nintendo handheld version features the same zany storyline as its Wii counterpart, but will feature a different gameplay experience unique to DS. Players will solve a variety of puzzles and brain teasers in an effort to collect as much stuff as they can to build a giant pile all the way to the moon. The game will also feature an intuitive Level Editor, allowing players to create their own puzzles and share them with other gamers for more Rabbids adventures. Nintendo DSi owners will be able to use the Nintendo DSi Camera to take pictures and customize them with funny Rabbid animations. Rabbids Go Home for Nintendo DS is scheduled to release Holiday 2009. The Rabbids First Puzzle-Adventure Game: The Raving Rabbids, using a shopping cart, will have to solve the puzzle of each level and collect as much stuff as they can to build a giant pile to their home… the moon! Same storyline as the Wii version, different gameplay: The game features a true story mode, including hours of puzzle-based gameplay. Stir up funny chain reactions in 150 brain teasers based on physics and funny Rabbids characters. The goal is to lead a shopping cart to the Toilets, collecting as many maximum resources as possible on the way. 15 tricky levels to actually build a huge pile to the moon: Test your reflexes and your skills with the stylus! Challenge mode: Four delirious challenge modes of 20 levels each, apart from the story mode and with different rules and objectives. Create hilarious situations by getting rid of those Raving Rabbids or making them fly! But be careful to not miss the TV show. Unique art direction: Encounter a cast of colorful, oddball characters (humans, Verminators, dogs, etc.) and explore a remarkable parody of the modern world! Exclusive level editor: Create your own puzzles and share them with your friends and the whole RGH community! Also download other players’ puzzles for hours of additional gameplay. My Rabbids (only on Nintendo DSi): Use the camera to take a picture, and customize it with funny Rabbid animations to make your friends laugh! PSP Go Cradle from Sony: charge & connect the PSP Go! PSP Go is out now and so are its accessories! Get ready for a new wave of PSP-stuff! Sony’s PSP Go Cradle comes first, so what is this for? Simply put, use this cradle to dock your PSP Go system, to charge it and to sync contents with your PC. AC adaptor and USB cable (both supplied with the PSP go system). AC adaptor (supplied with the PSP-1000/2000/3000 series system). USB cable (supplied with the PSP go system) — When the cradle is connected to a USB device such as a PC, the PSP go system can be charged while sending and receiving data to and from the PC. Indeed, using an AV cable for the PSP go system (sold separately), video can be output to a TV when the PSP go system is attached to the Cradle. PSP go system sold seperately. The Sony PSP Go Cradle sells for US $ 29.99 and is available now! Sony PSP Go: the new PSP Go really rocks! Sony’s new handheld device – PSP Go released date is October 1, 2009 and this new PSP Go price is around US $249: maybe one of the most awaited portable console of all time! For giving Playstation portable fans an overall understanding of this Sony’s new product, after carefully analysing and shifting correlative collect data, I will share some Sony PSP Go features here. 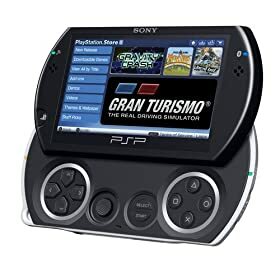 The PSP Go will feature no UMD drive, instead relying on its 16 gig internal memory drive so that gamers may directly download games onto the Go. Well, there’s no doubt the Go is a desirable bit of kit. The sliding control panel, sharp screen and build quality are all impressive. Also the thumb stick on the Go is smaller, more accurate and generally more satisfying to use than the one on the standard PSP 3000. Plus the Go is far lighter to lug around than the 3000. Of course, you’d expect this being download only but it does make you more inclined to carry the thing around. It’s no iPhone/iPod Touch but it does at least fit more snugly in a pocket than the PSP 3000. Those buying a PSP Go from October 1 will be able to download a free copy of Gran Turismo before the 10th. Being a huge fan of Resistance: Fall of Man, I fired up Resistance Retribution, and gave the third person shooter an extended workout. Thanks to the Go’s crisp and screen, gameplay was smooth (even outdoors). With a decent set of headphones audio was utterly solid and the Go’s sensible control layout and hand-friendly form-factor also meant that long bouts of gameplay caused little discomfort. Another killer PSP feature also present in the Go is PS3 integration. All existing interoperability between the PS3 and the PSP range is still supported which means that Remote Play can be used to access audio video and some game content from my PS3 wirelessly. Even better still I’m able to pair my wireless PS3 controller with the PSP for extra fine control. Whilst some gadget blogs have criticised the PSP Go for being more of a PSP 1.5 rather than a PSP2, the PSP Go delivers a bunch of significant refinements to a portable platform that’s already pretty solid having sold tens of millions of units worldwide and is backed by an incredibly rich games ecosystem. The Go’s more pocketable size and crispy bright TFT screen also makes it a smoking media machine. Boasting the same support for music, video, and photo files as with earlier PSPs, The formats supported by the Go read like a who’s who of digital media formats (MPEG-4, H.264, AAC, AVI, Motion JPEG, ATRAC, MP3, .Wav, WMA, JPEG, TIFF, BMP, GIF and last but by no means least PNG). Get your PSP Go now for US $ 249.00! Pentax K-x: a colorful, small, powerful 12.4 MP entry-level DSLR fully-equipped with pro-features! The new colorful digital SLR camera Pentax K-x combine solid photography performance like Live View function, high quality movie recording, high quality DSLR photographic for all users. The Pentax K-x continues on the for the Pentax K2000. The K-x has a one-handed shooting design is targeted to users stepping up from a point and shoot digital camera to their first digital SLR. Along with the 12.4MP CMOS sensor, it has a 2.7 inch LCD screen, Live View, face detection, 720p HD video capabilities shooting at 24p, HDR bracketing, 4.7 fps, 11 point autofocus, and uses AA batteries. The Pentax K-x continues on the for the Pentax K2000. The K-x has a one-handed shooting design is targeted to users stepping up from a point and shoot digital camera to their first digital SLR. Along with the 12.4MP CMOS sensor, it has a 2.7 inch LCD screen, Live View, face detection, 720p HD video capabilities shooting at 24p, HDR bracketing, 4.7 fps, 11 point autofocus, and uses AA batteries. High-resolution 12.4-megapixel CMOS image sensor features sensor-shift Shake Reduction for stabilized image and video capture up to 4 stops max. Large 2.7-inch LCD features Live View with contrast, phase difference, and Face Detection autofocus (up to 16 faces). Capture widescreen HD video in full 720p resolution (1280×720) at 24fps cinematic framerate, using any Pentax 35mm lens. Fast 4.7fps capture speed and 1/6000 second maximum shutter speeds are possible with the Pentax PRIME II image processing engine. Responsive 11-point wide-angle SAFOX VIII autofocus system focuses quickly and accurately, and can easily track moving subjects. The Pentax K-x is available now for US $ 649.95! Altec Lansing inMotion Portable Speakers for iPod: cool, amazing sound and now even more affordable than ever! Altec Lansing hi-end audio quality and standards is well known, now we can enjoy iPod audio and benefit from big savings! Here’s a couple of Altec Lansing products you might consider: different features, same quality, nice pricing! Affordable, amazing sound for music lovers who listen with their eyes as well as their ears! This new addition to the inMotion family offers big sound with stylish portability. The Altec Lansing iM310 provides outstanding acoustic volume and audio performance for your iPod/MP3 player previously unavailable at this size or value. With powerful, crystal-clear sound and surprisingly deep bass, the foldable design is ready to let you share your tunes anywhere you like via AC or battery power. AC or Battery-operated Enjoy up to 48 hours of continuous play on three AA batteries (or use the included AC adapter). Alarm clock: the Altec Lansing iM310 is fully compatible with iPod models that have the alarm clock and sleep timer features. Compact design Folds to close at 11.4“ wide, 2.5“ deep, and 6.1“ high (290 mm x 62 mm x 155 mm) for convenient mobility. Input jack for second device connection, including CD, DVD, and MP3 players, Universal dock recharges iPod. Weighs only 2 pounds and 6 ounces. The Altec Lansing iM310 retails for 57.87 (you save $22.12 ; -28%)! Altec Lansing inMotion iM600 Firewire-Charging Portable Audio System for iPod. Altec Lansing’s iM600 features a rechargeable battery and several convenient features to make music available wherever you are. And while the sound isn’t massively powerful, it’s loud enough to keep people dancing. The Altec Lansing iM600 ’s physical design is almost inspired; it’s a flat panel that looks like a hardcover book standing on its spine. Press a button to unfold the dock in front and a support stand in back. The dock area contains (and conceals) the power and volume buttons, preventing operation while the unit is closed. A small LCD panel displays one line of text–enough to show the current source (iPod, radio, or AUX), radio station, and battery level. You can seat any iPod that has a dock connector. Also on board the iM600 are an FM tuner and an auxiliary input for the shuffle and non-Apple devices. An extendable old-school silver antenna adds a touch of retro style; it improved reception to the point where the iM600 picked up a weak college radio station. Grab the Altec Lansing iM600 now for $92.88! You Save: $57.07 (38%). You are currently browsing the SourceCrowd.com weblog archives for October, 2009.